Writing and Marketing: Online Membership Sites - Should You Join One? Karen, this is excellent information. I was fortunate. The first membership site I joined helped me the way I needed to be helped. I live in a rural area and there aren't options for a writing group. That's one reason I joined. I needed something! You are right. There's lots of good information out there you may not have to pay for. But as you pointed out, it's good to figure out what it is you need. Very informative post. I want to begin presenting ecourses. I thought a free membership site with a forum would be to the advantage of the people who paid money for the ecourse. Kathy, it's so true that if you find a quality membership site it can be tremendously helpful. Glad you found one that worked. Retha, I's so glad you found the post informative. LOL You can't be a free membership site for those who paid for the ecourse is a great idea - a valuable bonus. It can also be done the other way around - subscription into a site for the ecourse and bonuses. ... and not just for beginners either! As a man who runs a membership program at Writers' Village I must declare an interest. That said, I think you're spot on when you say that you get what you pay for. Plenty of writing programs (for example) are free but the quality of their advice tends, in my experience, to be babyish. One determinant of a worthwhile program is, as you point out, that the expert is visibly in the loop - answering questions and working on people's materials. That might well justify a $300+ pa subscription. Where else could you get such help so cheaply? But make sure the program has not hidden the Cancel button! You need to feel you can test the program at a negligible cost and opt out at any time without penalty. Karen, one membership group of which I'm a member does have free membership, which does limit some access but still offers much. 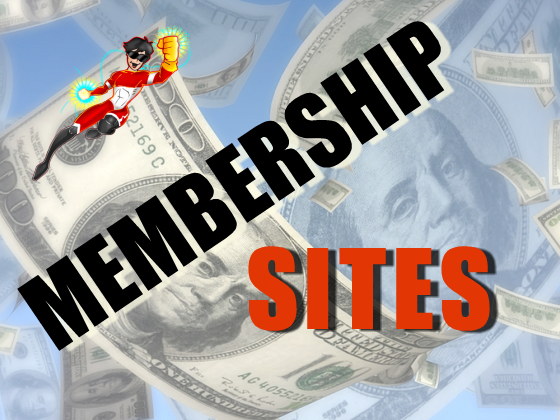 Then there are several levels of membership, each offering more portfolio storage and benefits: http://writers.com. Members range from rank beginners to published authors. I won't pay for an online membership site, except for EPIC, which has a nominal fee, and is actually an organization. I also belong to local and national RWA, MWA and Sisters in Crime. I also belong to tons of online groups that don't charge. The members there have been very generous with their pointers. John, I agree, you do get what you pay for, or don't pay for. And, there should absolutely be a grace period if you find the membership site isn't what you thought it would be. Interestingly, I'd like to know how to work that on a site that offers the information upfront. What's to stop someone from signing up and then leaving after a week, after downloading all the information. Vivian, That's actually a good idea, having the option of the level of involvement and payment. I've heard of writers.com; I'll have to look into it. Morgan, I belong to three paid memberships sites, each in different fields. I find if I want 'expert' information and guidance it's usually necessary to pay for it. This is especially true if it's with someone who's knowledge and information I value. That said, there are a number of free groups that are helpful and have much to offer - I belong to a number 'free' groups and find them very helpful.